ਪਰ ਬਰੀ ਹੋਣ ਤੋਂ ਬਾਅਦ ਨਾ ਤਾਂ ਕਿਸੇ ਨੇ ਪੁਲਿਸ ਨੂੰ ਪੁੱਛਿਆ ਤੇ ਨਾ ਹੀ ਮੀਡੀਏ ਨੂੰ ……ਬਈ ਹੁਣ ਕੀ ਬਣਿਆ? …………..ਹੁਣ ਕਿੱਥੇ ਗਏ ਇਕਬਾਲੀਆ ਬਿਆਨ? “ਇੰਗਲੈਂਡ ਤੋਂ ਪੰਜਾਬ ਪੁੱਜਾ ਖਤਰਨਾਕ ਦਹਿਸ਼ਤਗਰਦ” ਅਦਾਲਤ ਨੇ ਬਰੀ ਕਿਓਂ ਕਰ ਦਿੱਤਾ? 2012 ਦਾ ਅੰਦਰ ਨੂੜਿਆ ਸ. ਜਸਵੰਤ ਸਿੰਘ ਆਜ਼ਾਦ 2017 ‘ਚ ਅਦਾਲਤ ਨੇ ਬਰੀ ਕਰ ਦਿੱਤਾ ਪਰ ਓਹਦੇ ਇਹ ਪੰਜ ਸਾਲ ਬਰਬਾਦ ਕਰਨ, ਮਾਨਸਿਕ, ਸਰੀਰਕ ਅਤੇ ਸਮਾਜਿਕ ਨੁਕਸਾਨ ਦਾ ਜ਼ਿੰਮੇਵਾਰ ਕੌਣ ਹੈ? …..ਪੰਜਾਬ ਸਰਕਾਰ ਜਾਂ ਪੰਜਾਬ ਪੁਲਿਸ? ਪੰਜਾਬ ਦੇ ਸੂਝਵਾਨ ਪੱਤਰਕਾਰ ਉਪਰ ਉਠਾਏ ਨੁਕਤੇ ਬਾਰੇ ਕੈਪਟਨ ਅਮਰਿੰਦਰ ਸਿੰਘ, ਉਸਦੇ ਮੰਤਰੀਆਂ ਜਾਂ ਪੁਲਿਸ ਅਧਿਕਾਰੀਆਂ ਨੂੰ ਸਵਾਲ ਤਾਂ ਕਰ ਹੀ ਸਕਦੇ ਹਨ! Ludhiana/Jalandhar, Punjab : According to information available with Sikh Siyasat News (SSN) Jaswant Singh Azad, a British Citizen who was booked by Jalandhar police under Unlawful Activities (Prevention) Act, has been booked in another case under UA(P)A by Ludhiana police. Jaswant Singh S/O Sucha Singh, VPO – Duhre, Police Station – Bhogpur, District – Jalandhar, is a resident of 20 Carlisle Terrace, Sunderland, SR5 2DF, UK. He is currently confined in Model jail Kapurthala, (Punjab). According to information extended by Jaswant Singh’s counsel Advocate Jaspal Singh Manjhpur “Jaswant singh apprehended by the Police of District Jalandhar (Punjab) on September 28, 2012 from his village Duhre and an Italy made pistol was alledgly planted against him by the police. Police showed his arrest under FIR No. 216, Dated 29/09/2012, under section 25 of Arms Act, Sections 121, 121A, 120B of Indian Penal Code and Sections 10, 13, 17, 18B, 20, 38, 39, 40 of Unlawful Activities (Prevention) Act. This FIR is registered at Police Station Division No. 8 Jalandhar. Jaswant Singh told his lawyer that he was the physically and mentally tortured by Jalandhar police during his police remand. On the completion of police remand on October 10, 2012, he send to judicial custody by the court and he was lodged in Model Jail, Kapurthala (Punjab). Advocate JS Manjhpur told Sikh Siyast News (SSN) that on November 02, 2012 the Ludhiana District police produced Jaswant Singh before the Duty Magistrate (Ludhiana) and marked his arrested him in Case FIR No. 183, dated 21/09/2012, Under Section 25 of Arms Act, 3, 4, 5 Explosive Act, 121, 121A, 120B, 506 of Indian Penal Code, 17, 18, 18B, 21, 22, 38, 39, 40 of Unlawful Activities Prevention Act, Police Station Division No. 5 Ludhiana. He was sent on police remand for two days police remand and on the expiry of police remand on November 04, 2012 Jaswant Singh was sent on judicial remand to Model Jail, Kapurthala. Advocate Jaspal Singh Manjhpur informed that the subject matter of both the cases is similar to each other. He told that Ludhiana case was registered initially against against Sikh leader and former president of Akali Dal Panch Pardhani Bhai Daljit Singh Bittu but now the police has linked Jaswant Singh with this case. Police has alleged that Jaswant Singh had lent his Ludhiana based building to Akali Dal Panch Pardhani for “unlawful” purposes. He ridiculed police claims as the building is being used as office of Akali Dal Panch Pardhani, a democratic political party. “When ADPP is lawful organization, never banned under any law, how a building owner could be booked for lending his building to be used as office premises by ADPP” he argued. 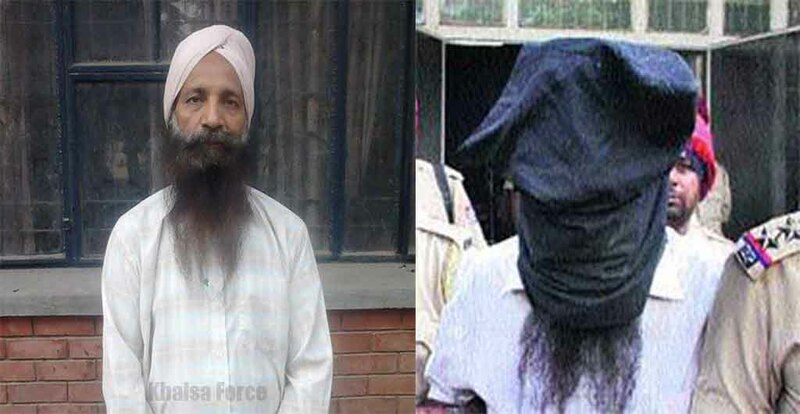 Jaspal Singh Manjhpur told Sikh Siyasat News (SSN) that he has approached UK’s High Commission in India to take a notice of arrest and implication of Jaswant Singh in two cases by the Punjab police.